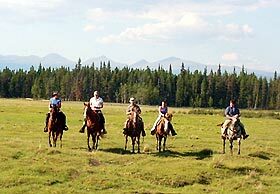 Many visitors to the Chilcotin have visions of cattle ranches, cowboys and the lifestyle these offer. 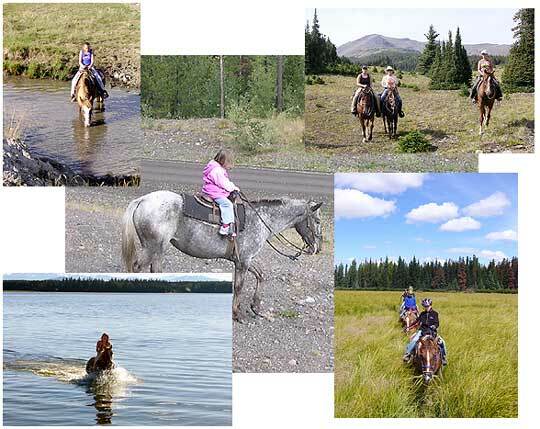 Our resort is able to offer you some of these adventures. 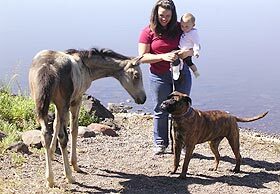 From the resort, we offer hourly rides for both beginners and the more advanced rider. 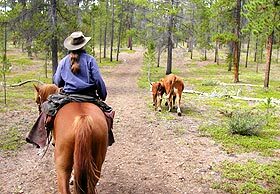 For example a four-hour ride will take you into some of the meadows and pine forests close to the resort and we stop for a lunch break along the trail. 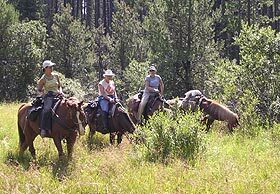 For our guests who wish to really enjoy the backcountry and wilderness which our area is famous for, we operate fully guided packtrips. Join us on one of our overnight packtrip adventures where we offer three or four day overnight rides into the mountains that surround Anahim Lake. and under $18 per hour. Write for information on packtrip packages. Full packages including flights from Vancouver, accommodations and meals are available. Please enquire.